I was flicking through the latest edition of the Home Beautiful (Australia) magazine this morning and I came across a cool product which I have not seen before. These are called Ohooks (designed by uldall for Helogo) and can be purchased online from Top 3 by Design. The mixed colour set contains one hook each in pink, green, yellow, blue, white and black. The hooks also come in a white set, black set and a natural finish set. 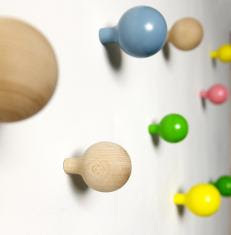 I think that these hooks would look really cool in a hallway, a kids room or even for a funky look in an office. Hmmm...I think I'll add these to my ever growing wish list! Also, you could make a similar style yourself using some little drawer knobs and painting them in some bright or pastels colours. 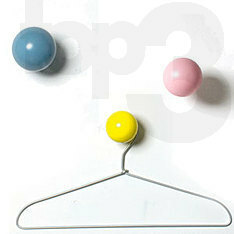 My little girl has a replica eames hang it all in her bedroom (similar style to the Ohooks). It adds a burst of colour to her room and is very practical for hanging her bags and hats on (I'll just have to work on encouraging her to actually hang her things on it - rather than leaving them on the floor!). 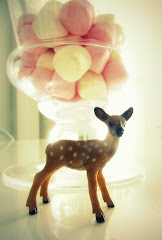 The picture below is not of my daughter's room....I wish! I was going to take a picture of her room but then I'd have to tidy it up first! The image below shows the eames hang it all - times three. The image above shows how practical this great looking coat rack can be in a home. The bright colours look awesome against the white walls. 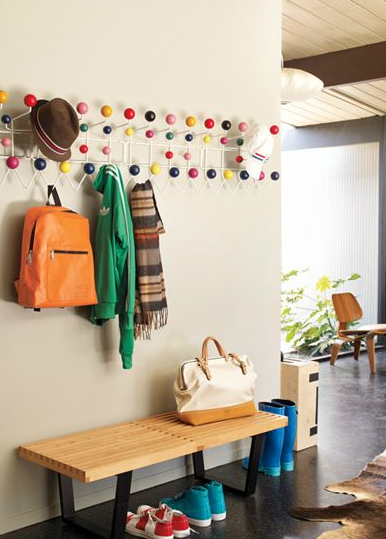 I would like this coat rack or the Ohooks in my hallway! 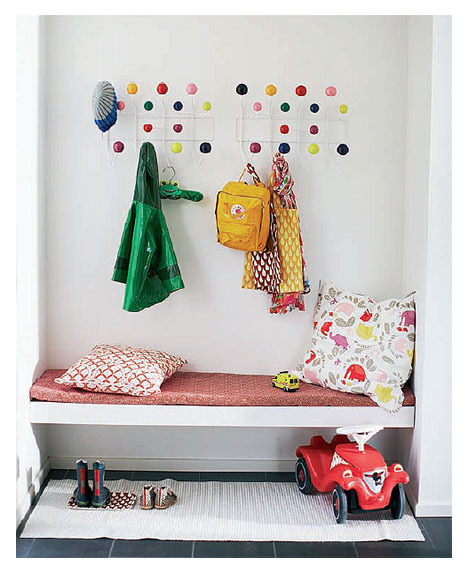 Do you have any cool ideas for great looking coat hooks(thepinkandprettyblog@gmail.com). I love to see great design in everything....from dining room chairs to pen holders. I love things to be both practical and pretty! One important piece of furniture that not many people are aware of are wooden coat racks. These racks are great for hanging any piece of clothing the home owner may have. I agree. I think coat hooks look really cool in a home and help to create a welcoming and lived in feel to the house. To ensure that 70 inches is a good height for your house, stand the tallest boots of any family member underneath the spot where you wish to hang your coat rack.